There is a lot more besides hurting fingers and hands when it comes to freehand sharpening small blades like spokeshave blades. Applying effective pressure is hard and keeping even pressure across the width of the iron with just fingertips is nigh on impossible. Another thing is that you can’t really install a short spokeshave iron in a honing guide because the blade doesn’t extend far enough from the honing guide to reach the needed angle or angles. 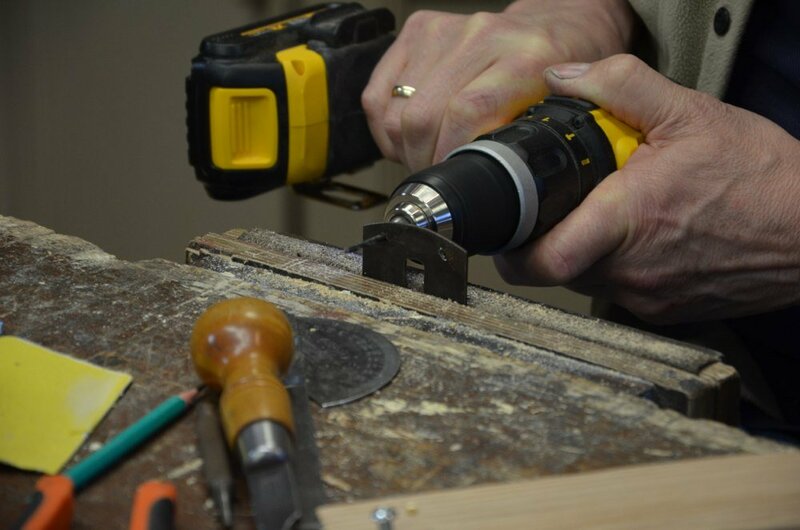 This simple wooden extender makes the whole process solidly practical and even pleasant. I have thought this through through the years and seen so many students using spokeshaves at the shop struggle more with sharpening spokeshaves irons than any other type plane iron. The main reason is finger strength but also the fact that you have so little to grip on to with hands wrapped as you would with say a regular plane iron. My extender is effective, compact and simple and it works with just about every type of metal cast spokeshave ever made which includes those made by modern-day makers too. The video we made shows both how to make the holder and then how to use it. Watch for yourself and make one in just a few minutes. 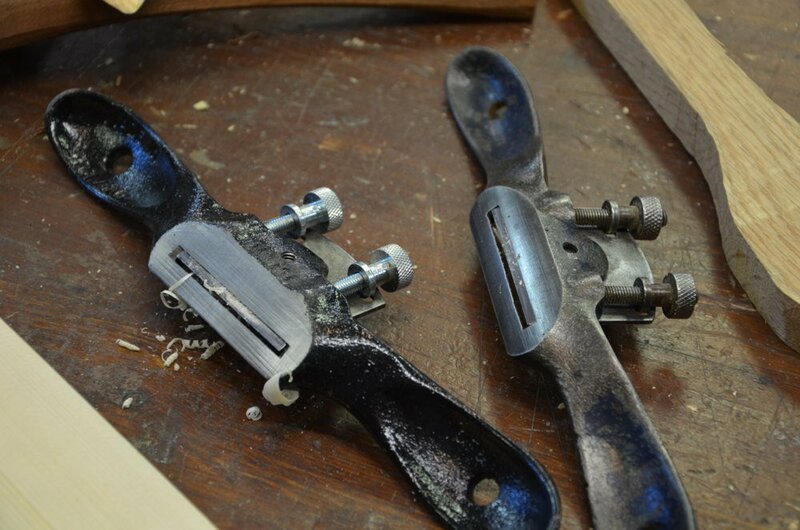 It will give you total control of the spokeshave blade throughout the sharpening process regardless of whether you use freehand methods or a fixed or adjustable honing guide and you will use it for the rest of your life. More than even that, this guide works not only the same with round bottomed spokeshave irons but also with curved edges whether round or hollow too. The extender I designed is uniquely different and, as with all of our tool and technique videos, available to watch for free online when you sign up for the free subscription side of woodworkingmasterclasses. Simply subscribe to the free subscription membership of woodworkingmasterclasses go to Video Library and then Tool and Techniques and then look for Spokeshave: Sharpening Holder and enjoy this and 20 more free training videos. By the way, we will not expect anything from you once you sign in and neither will we bombard you with emails or adverts and…no more aching hands and fingers!